Kim Kardashian not only makes a ton of Money but she also gives it away. “I am so grateful for the overwhelming response to my shoe drive,” said Amelia Flores. 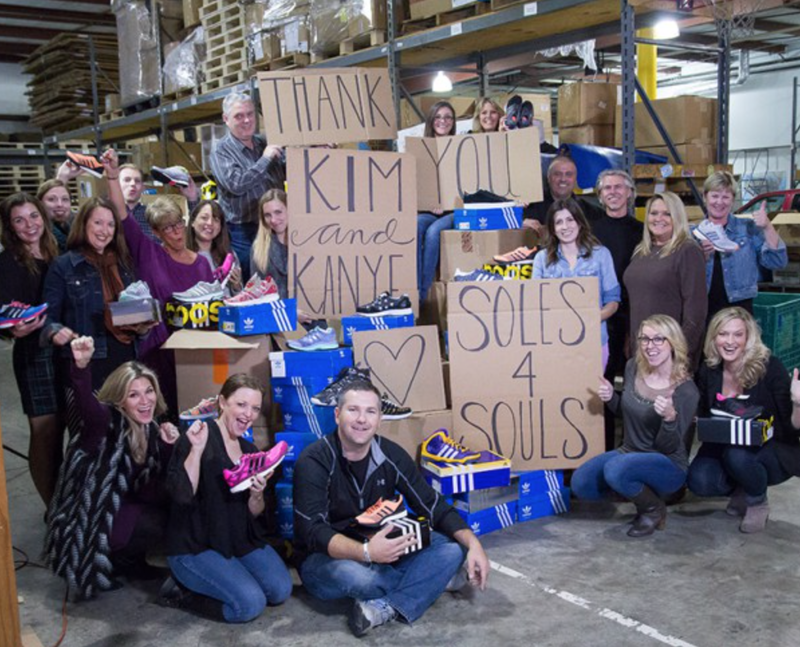 “I hope this will raise awareness surrounding the high demand for shoes in poor communities!”“The quantity and quality of the Adidas and Kardashian Kollection donation from Kanye and Kim Kardashian West is really extraordinary,” said Soles4Souls CEO and President Buddy Teaster. “The fact we are able to distribute them to people in need here in the US is an even bigger deal. These shoes are going to make a real difference and we’re grateful for the awareness that came from Kim’s post and the commitment both of them have shown to helping men, women and children in need.”Soles4Souls is working hand in hand with Amelia to distribute the shoes in her hometown of Wichita, New Orleans as well as Kim and Kanye’s team to identify who will receive the shoes in Los Angeles.